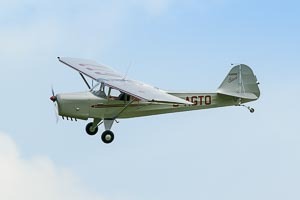 The Auster J/1 Autocrat is a single-engine three-seat light touring aircraft produced by the British manufacturer Auster Aircraft Limited. The J/1 Autocrat is a development of the (Taylorcraft) Auster Model J AOP Mk.V. Visitor to Shuttleworth Collection Flying Day.